I have a short list of truly incredible, memorable meals I’ve enjoyed out. Some of the meals were at bucket list restaurants, some were at tiny neighborhood cafes, some were in gorgeous travel locales. Three things always come together to create those experiences: good company, great service and amazing food. My dinner at Palm Court scored big on all three. 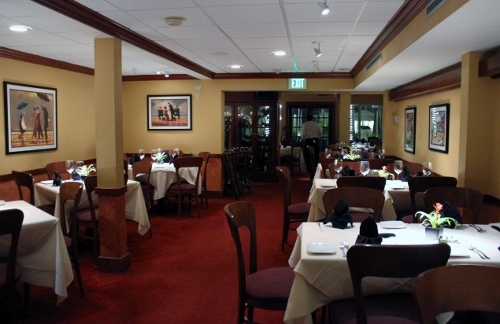 Palm Court Italian Grill is located in the Tradewinds Island Resorts Island Grand hotel. I wrote about my visit here, but had so much to say about this one meal that I’ve written this post featuring it. My first tip on having dinner at Palm Court: make your reservation with the sunset in mind. When the days are short, enjoy the sunset and have a late dinner. 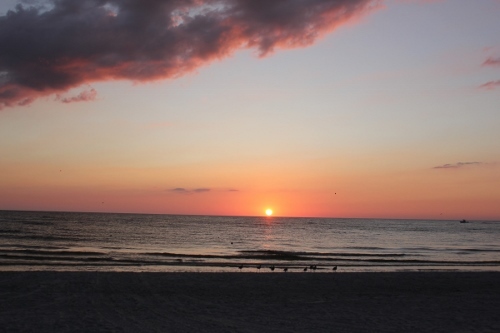 When days are longer, have dinner early and see the sunset after dining. 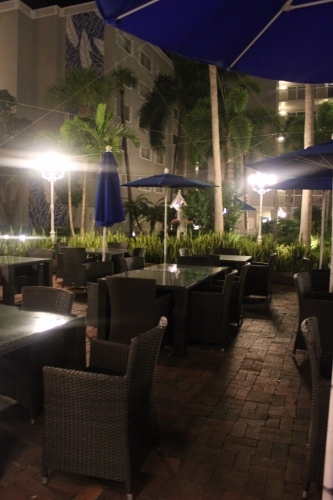 While Palm Court is the nicest of the restaurants at TradeWinds, you’ll be fine in your nice resort attire. A simple dress with a shawl to ward off the night air works for me, my fella likes khakis and a linen button down. No suit and tie or sequins required here. Since we visited late in the year, we enjoyed dinner after sunset. A few tables of diners were seated outside. We elected to sit inside as the wind was picking up and there was a bit of a chill in the air. Inside there was a large group already seated and the two of us. Not overly crowded, perfect for an intimate dinner. Our dinner started with cocktails, a glass of wine and a martini. 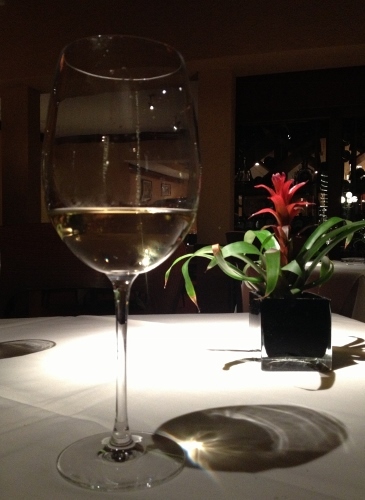 The wine list is extensive and our server offered a few initial recommendations, as well as additional recommendations to pair with each course. 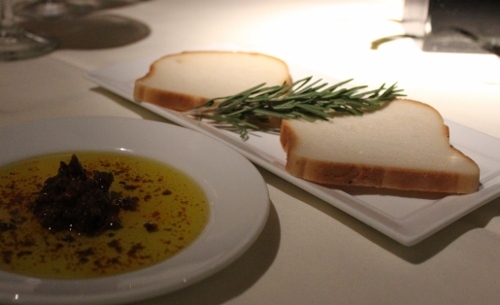 Next our server brought gluten-free rice bread and a lovely red pepper tapenade with oil. 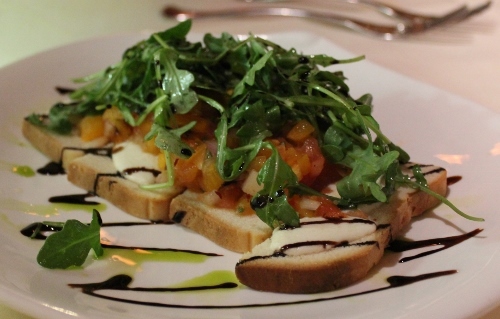 We ordered the Grilled Bruschetta appetizer. Also served on gluten-free rice bread, it featured black olives and local tomatoes. The emphasis on incorporating locally raised food is terrific. The menu has notations to let diners know what is local. Next came salad. 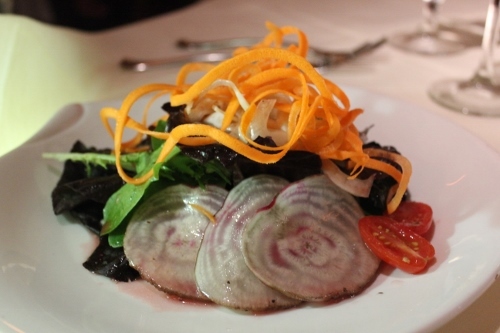 A simply gorgeous salad with spiral sliced carrots, shaved chioggia beets, local tomatoes and heart of palm. When I ordered my entree, I asked if it was possible to modify the Parmigiana De Melanzane, a fried eggplant dish, to be gluten-free. The server said he would check with the chef and quickly reported back that it was indeed possible. The resulting dish blew my mind. 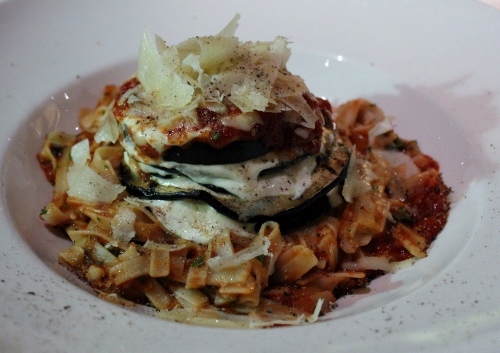 Thinly sliced grilled eggplant layered with fresh mozzarella and housemade ricotta served over rice noodles. I suggested this dish be added to the menu. Anyone looking for a less-heavy meal than the fried version would certainly enjoy this, gluten-free or not. If I lived in the area, this would be my go-to for a nice dinner out if only because of this one dish. Pleasantly stuffed, our server suggested we should enjoy dessert and coffee. Typically, I would have stopped after dinner, just because it was divine. I like to stop while I’m ahead. But dessert didn’t disappoint! 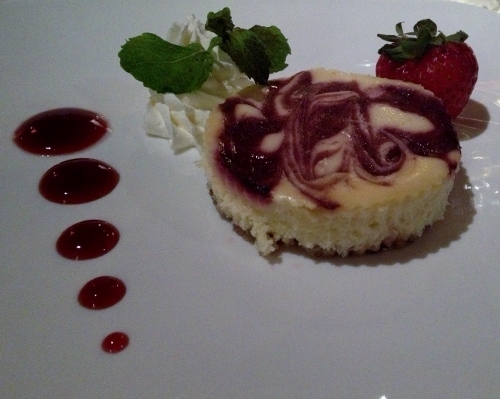 I had a gluten-free cheesecake with a pecan crust and fruit coulis. It has been four years since I’ve had a traditional cheesecake out. I often indulge in raw vegan cheesecake out when at home, but have never had the option of having a traditional cheesecake while dining out. The crust was delicious and the cheesecake filling hit that perfect balance of creamy texture without being too heavy. During dinner, it was a joy to see the two servers working the dining room. The large group dining near us was having an animated conversation about fishing. We realized when they were leaving famed marine conservationist and artist Guy Harvey was with the group. This would have made me a nervous wreck as a server, but I watched as their meals were served without a single hitch, water and wine glasses magically refilled without a single interruption. I love seeing meals served in this manner, it’s truly a delight to see great servers in their element. Our server, Josef, was so comfortable with serving a gluten-free meal that it put me at ease. 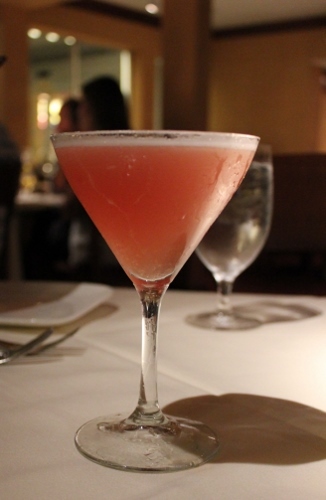 When a server is knowledgeable, it sets the tone for the entire meal. We wanted for nothing during our meal, never felt interrupted or rushed, perfectly attentive and gracious service. It was everything we needed to make for a memorable and delicious meal. I don’t eat seafood, but did notice something on the menu that deserves a bit of space here. The seafood served at Palm Court is from the Gulf Wild program. Gulf Wild™ Seafood are fish caught in the Gulf of Mexico by only the most responsible fisherman and come with a gill tag tracking system confirming the species of the fish, where it was caught and information about the fishing captain and vessel. While enjoying coffee after our meal, the chef stepped out of the kitchen to make sure everything had been to our satisfaction. 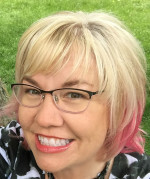 I had a few questions about serving gluten-free diners and was impressed with the level of knowledge and how comfortable the chef is in serving delicious meals to folks like me. The world needs more chefs like this! Eat With: Minimal caution. 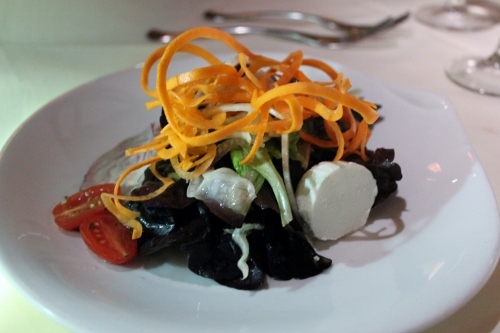 The server and chef were very knowledgeable and many gluten-free options were available. I felt very comfortable dining here. Full Disclosure: I received two gift certificates for dinner from the TradeWinds. I was not asked nor required to write a post sharing my dining experience. I paid for my own cocktails and server gratuity. The opinions expressed, as always, are my own.